Stylish and sleek, our Jackson operator chair without arms is very contemporary to look at, and is ultra comfy to sit on too! We use premium upholstery for the cushioning, and the adaptable features boost comfort even more. Our 21st Century furniture hire range is very diverse and we have lots of products for all your London venues. 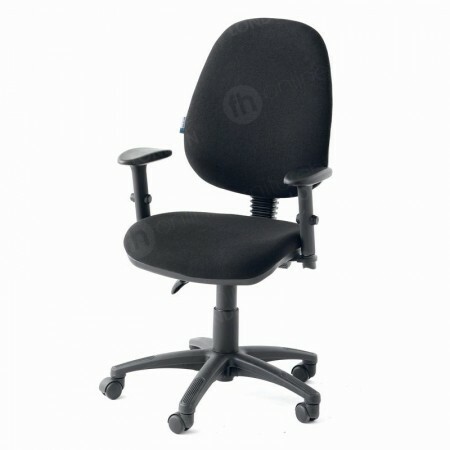 Take our Jackson operator chair without arms. The hint to a common location where this is perfectly placed is in the name… operator! By this, we mean busy workers who may sit long lengths of time at their desks, creating documents, answering emails and inputting data for example. Part of the reason this chair is so fantastic in offices, call centres, receptions and many other similar locations is because of its many features, which include adjustable levers to change the height of the product, as well as cushioning and lumbar support, to name but a few! Chair design as always reacted to what’s needed at the time, and inventors were only really held back by the types of materials and tools available. As you can imagine, some of the earliest chairs featured products that reflected what was available in the environment, so were probably fashioned from stones and pieces of wood! It’s difficult to say when chairs were first used, but man has needed seating from those times when they stopped being nomadic and would gather regularly in basic homes and around fires. Despite the fact that ancient populations didn’t have access to all the plastics, metals and materials we have today - as well as innovative machinery! - they still created stunning seating, that are more akin to artworks. Experts in this field often rely on historic paintings and drawing from these early eras, to see what seats were like in the distant past. They highlight evidence suggesting that Romans used marble, while the Ancient Egyptians fashioned chairs from ebony and ivory. Although seats existed in this times, most people didn’t own them, simply because they were very expensive but also because they were linked only to those in power or high up positions in the clergy or military. This generally stayed the same until the 1600s when more people began to own and use them on a regular basis. Timber was the most likely material, because it was easy to get, cheaper and robust, although inventors also started to experiment with different finish on chairs around this time, using leather, velvet and silk. Through the 19th and 20th Centuries newer metals were being discovered and seating design was adapted to reflect users’ needs. 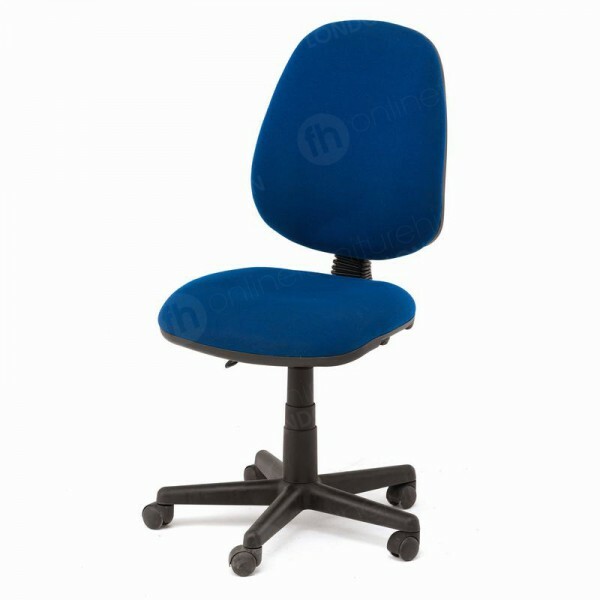 As more people began sedentary jobs, then chairs such as the 1979 Supporto were launched, with its upholstered seat and seatback and adjustable features. It became clear chairs that could be adapted were very useful for those who sit opposite desks for a large portion of their day, and our modern day Jackson operator chair without arms is a perfect example of all this innovative design for today’s workers! Ensuring the comfort of colleagues not only means they’re body is supported throughout the day, but this could also boost their productivity, and limit muscle tension. 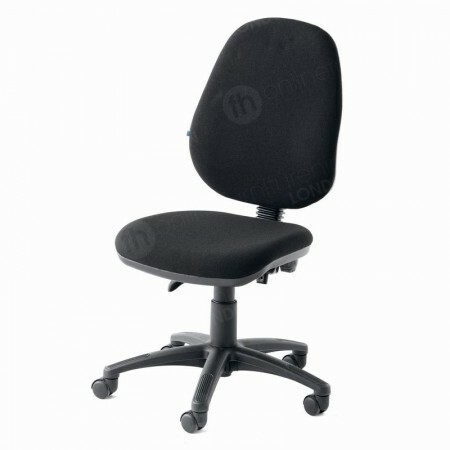 The seat height, seat back angle and it’s height can all be adapted for every user, so they stay very comfy at work. Lumbar support and cushioning on the seat boosts this even more. 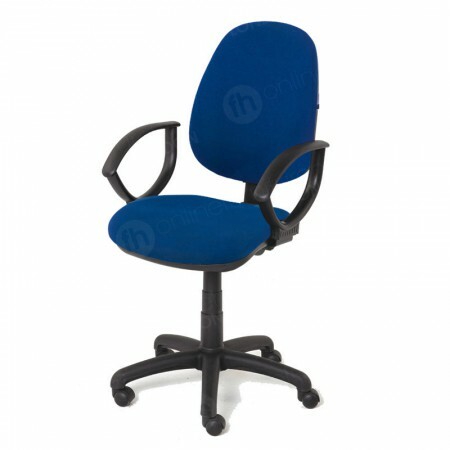 As well as making sure workers can comfortably go about their daily roles, our blue Jackson chair is very stylishly designed too, thanks to the blue finish and black - resulting in an innovative, adaptable chair you can be proud of. 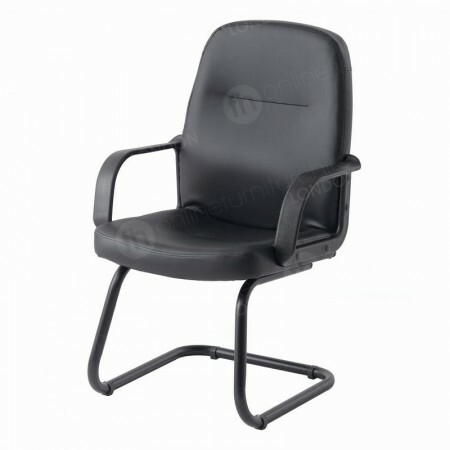 If you prefer, you can also hire office chairs in black depending on the style of your location. Both office chair hire ranges are a great match for our desking too, which features a modern light oak finish and premium 25mm melamine surface. In what ways are these chairs adaptable? These chairs are adaptable in several ways! You can change the height of the seat, angle of the seat back and it’s mobility too. This means that if you’d like to alter the seat back so it moves with you then you can do so. Do they go okay with your range of desks? They go perfectly! These are in fact a really fabulous combination, and a very popular choice for offices, call centres, home offices and any other location where you need a top quality desk and seating.